Benedict J. Fernandez, (b. 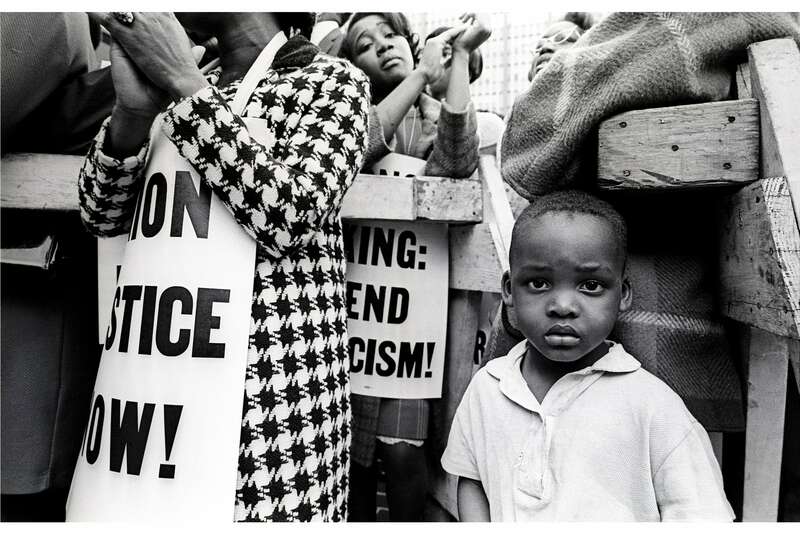 1936), a Puerto Rican and Italian photographer from East Harlem, captured some of the most powerful and emotionally-resonant moments of America during the tumultuous 1960s. This exhibition comprises vintage prints and never before seen work prints from the archives of an underappreciated master. 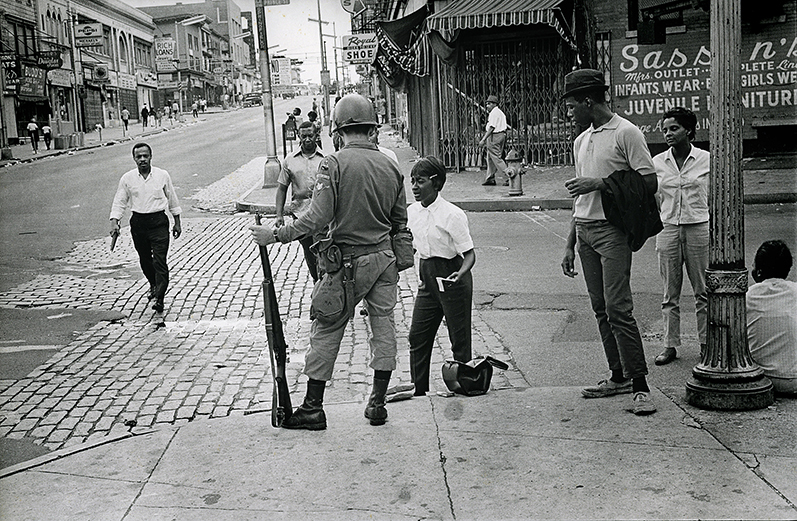 The Sixties were arguably the years of greatest social change in American history. The country entered the decade full of idealism and hope – the Civil Rights movement was gathering steam and a charismatic president rallied the nation to explore a New Frontier. America limped out ten years later, devastated by assassinations, divided over the Vietnam War, cities aflame in unrest. Through it all were the movements: Civil Rights, Black Power, Students for a Democratic Society, pro and anti-Vietnam War, nascent gay rights, and more. One can track these movements – and our nation’s trajectory – through Fernandez’s tough and revealing photos; he was perpetually in the thick of the action with a 35mm Leica, his wide-angle lens capturing it all on Tri-X. He worked with the eye of a poet and the hands of the crane operator he once had been. Fernandez’s photos are brash and confrontational, capturing the mood of the times and his own hardscrabble upbringing. Ben Fernandez met Dr. Martin Luther King, Jr. at a 1967 march in Central Park. They became friends; Fernandez was one of few photographers to have access to Dr. King’s home. The resulting photos show the civil rights leader in intimate moments with his children and wife, Coretta. 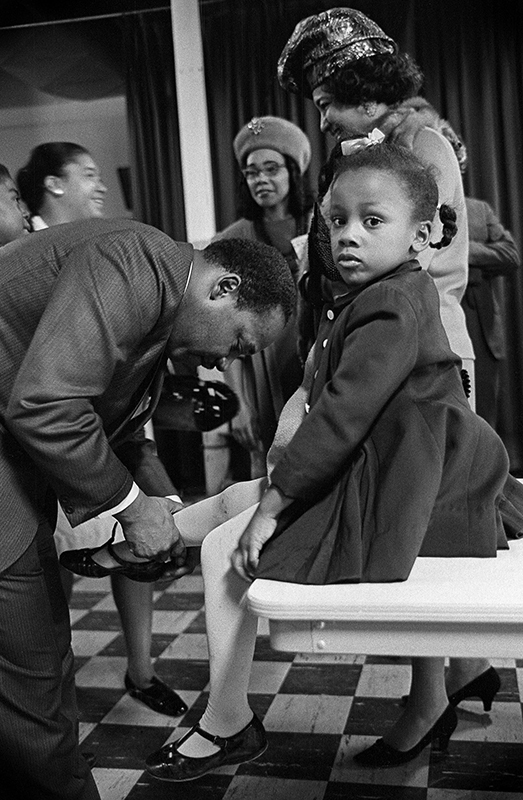 Fernandez’s photos are among the most personal ever taken of Dr. King. In the 1960s Fernandez founded the Photo Film Workshop at the Public Theater, educating a diverse group of inner-city children, including Ángel Franco, who became a Pulitzer Prize winner at The New York Times. Fernandez then created the photography program at Parsons/The New School, making it a national model. Fernandez’s educational innovations helped change photography from a common craft to a respected profession and changed the lives of generations of students.